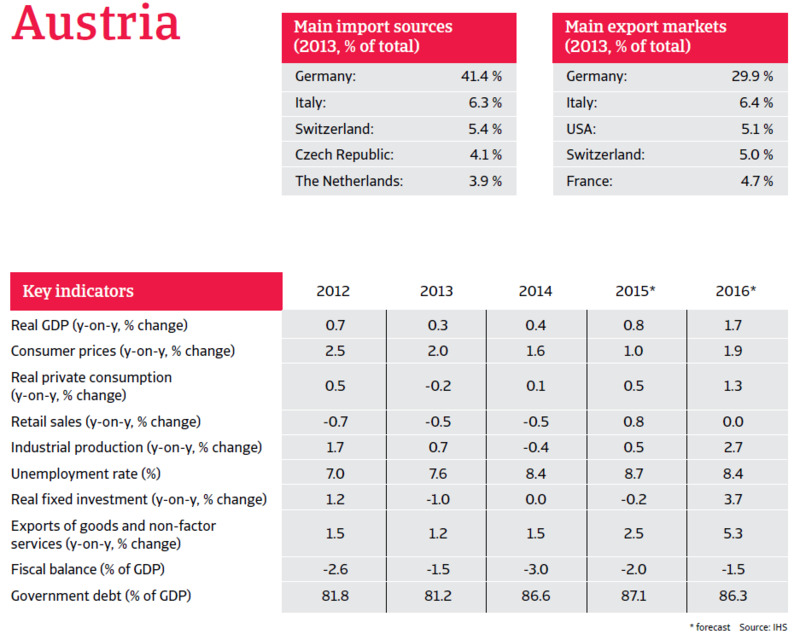 After modest growth in 2013 (up 0.3%) and 2014 (up 0.4%) the Austrian economy is expected to see a modest 0.8% surge in 2015. 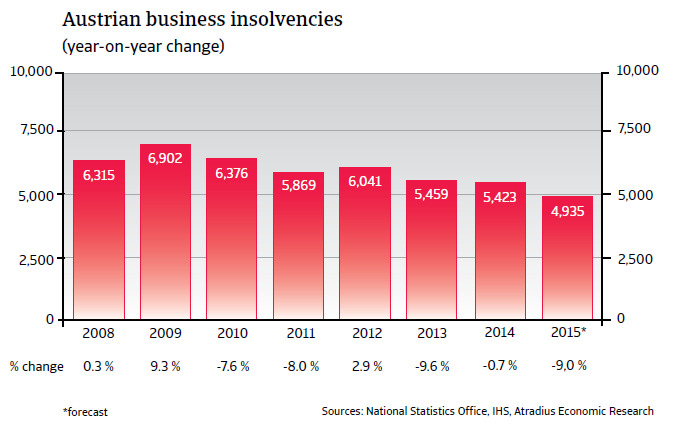 Austrian business insolvencies decreased by more than 9% in 2013, however this positive trend slowed down in 2014, to just 0.7%. In 2015 it is expected that the number of business failures will decrease further, by 9% year-on-year. 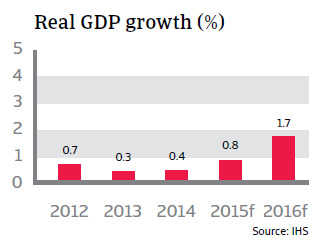 After modest growth in 2013 (up 0.3%) and 2014 (up 0.4%) the Austrian economy is expected to see a modest 0.8% surge in 2015. Private consumption is expected to increase only modestly, given that unemployment will remain at an (for Austrian standards) elevated level of 8.7% and real wages are still impacted by the general decrease seen in previous years. 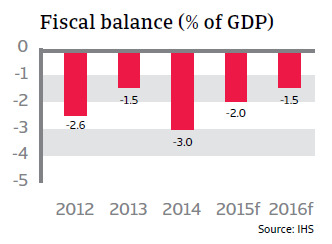 The fiscal deficit increased by 3.0% in 2014, mainly due to large increases in capital transfers to banks in the course of the reorganization of Hypo Group Alpe Adria (the bank was nationalized in 2009 after overextending itself in Southeastern Europe). With these capital transfers decreasing after 2015, the budget balance is set to improve to -2.0% and -1.5% of GDP in 2015 and 2016, respectively. Government debt is expected to rise to 87.1% and to decrease thereafter. 24% of survey respondents in Austria were concerned about maintaining sufficient cash flow levels. 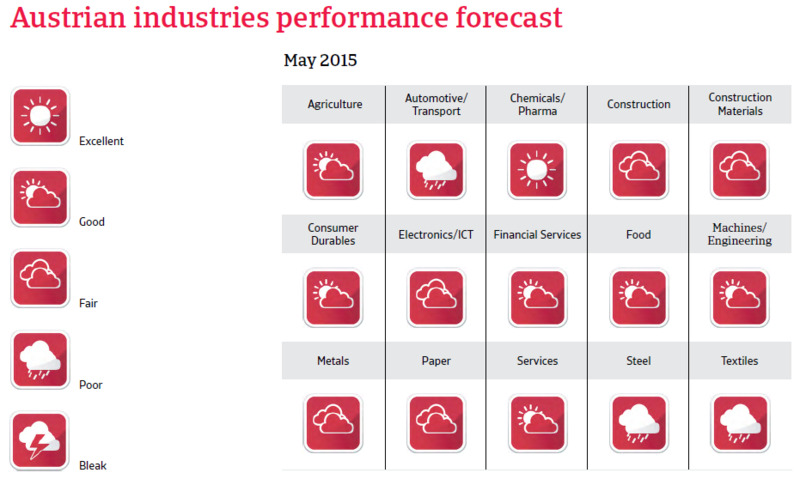 They consider this as one of the greatest challenges to business profitability in 2015.